I never ride with headphones. I like to listen to what is going on around me, both the sound of the bike and the road, and motor vehicles. I think it's a bit silly to limit your ability to hear traffic, but each to their own. Even so, every so often a car seems to appear from nowhere to give me a start and I am very used to asking fellow riders to repeat what they said because I didn't catch it. Until recently, however, I hadn't considered trying to enhance my hearing. 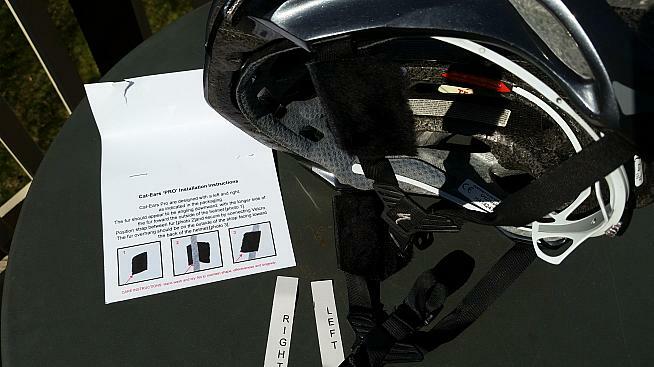 This is what Cat-Ears sets out to do by blocking wind noise through clever, but simple, technology that attaches to your helmet straps. I first noticed Cat-Ears without realizing what they were. Once I'd spotted them I noticed that a few people on my weekend group ride sported these comedy sideburn things and it turned out they rated them highly. 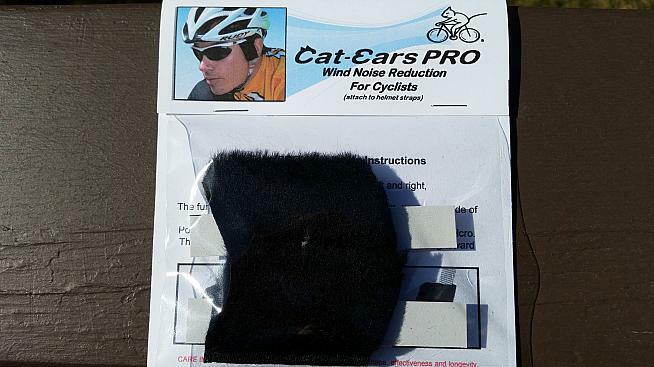 Intrigued, Heidi Weissner at Cat-Ears was kind enough to send me some to review. I tested the Classics Pro. They work. My test ride was a simple out and back on relatively quiet roads. I set off with the Cat-Ears installed and the first thing I noticed was that I could not tell they were there. Any concerns that they might be irritating — null and void. Impressions were positive. There was still wind noise, but it seemed less intrusive — as though it was farther from the ear. The difficulty was trying to gauge the scale of the difference. On the way back I removed one of the ears, then reattached it (just a couple of seconds to do once you know - see below) before removing both and then reattaching in an effort to create contrasts — and contrasts there were. Riding with the left ear removed immediately confirmed the first impressions. On the right side the wind seemed a few inches distant. On the left, without protection, the wind noise was close up in the ear, louder and more intrusive. I experimented with turning my head as you would when chatting to the rider next to you. First I tilted the Cat-Ear side back and downwind and tried to fix the amount of noise reduction. Then I repeated the tilt to the other side and, again, the contrast was easily noticeable. On the unprotected ear, angling it out of the wind made a huge difference. For the ear with the Cat-Ear shielding it much less so. Finally, I rode short sections with/without/with/without the Cat-Ears to reconfirm the effect. Like many of the best inventions, the motivation for developing Cat-Ears came from personal experience. Heidi and Rick Weissner are avid cyclists and wanted to be more aware of traffic and also to chat more easily while on the bike. They experimented unsuccessfully with solid wind deflectors and noise-cancelling earphones before drawing inspiration from the fine fur that cats have in their ears. 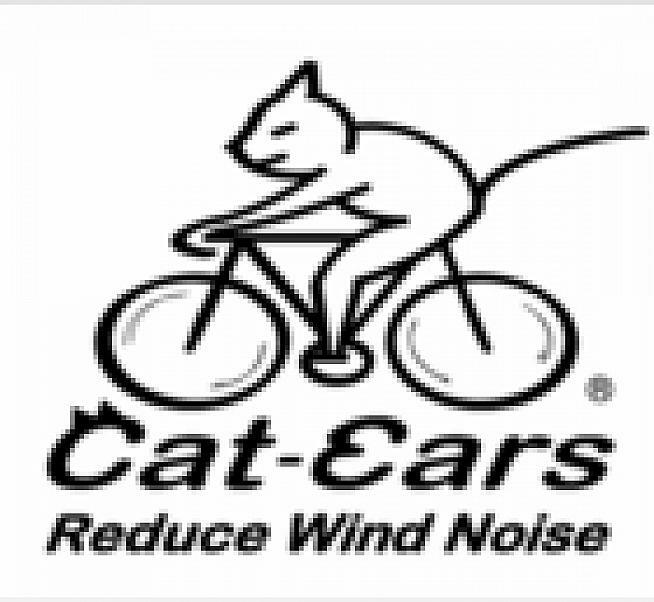 There is a considerable amount of explanation of the science behind the product on the Cat-Ears website. In simplified form it boils down to the ability of the fur to push the noisy air away from the ear while not blocking sound waves. The Weissners, who both enjoyed careers at General Electric, were granted a patent in 2015. The firm produces four variations of its "Classics" product (the I, the II, the Pro and the Elite) with various sub-varieties as well as a "Strap Wrap" and two Polartec "Ear Covers" designed to keep your ears warm as well as reduce noise. Cat-Ears cost between $10 and $18 from the company's website. My only mild criticism is with the instructions that came with the Classic Pro. Despite the fitting process being extremely simple, it took me a while and a few head scratches, although that may say more about me than anything else. The ears come in left and right and I could not see the labels that the instructions said were there. The instructions were accurate, but you had to open up the ear to see the Left or Right marking. I was also thrown off by the the photos which I wanted to read left to right rather than the helmet pointing to the right. The actual attachment of the ears took seconds once I had got my head around it. They use velcro so can be removed just as easily.